Never underestimate a jazz musician's capacity for drawing on material from vastly different sources, deflating the ostensible dissimilarities, and producing vibrant sounds that don't hew to convention or expectations. From the music's early years, resourceful artists have been confounding audiences and critics alike by putting their stamp on anything that strikes their fancy, from gutbucket blues to pop ditties to art songs, and everything in between, ultimately leaving no stone unturned. 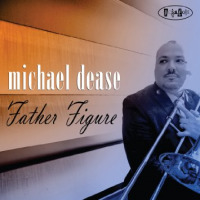 Michael Dease's Father Figure, the trombonist's third disc for the Posi-Tone imprint in as many years, offers interpretations of Charlie Parker's "Confirmation" and Meredith Willson's "Marian The Librarian." 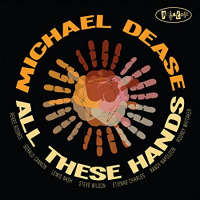 Between Dease's arrangements and a fine band of young players, the bebop standard and the fluffy, endearing show tune from The Music Man sound as if they were meant to be on the same recording. As if growing from the rich, buttery tone of the leader's trombone, the record gravitates toward a genial side of hard bop and favors a clear sense of direction over an excess of blowing. Smart, unfussy and pleasurable heads include spot-on tempos that are anchored by the outstanding young bassist Endea Owens. 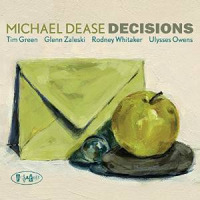 Dease's "Church Of The Good Hustler" possesses a jaunty, jazz march feel that's enhanced by drummer Luther Allison's sprightly buzz rolls. Alto saxophonist Markus Howell's wistful waltz, "The Pursuit For Inspiration," features a nice blend of the two horns and tasteful comments by pianist Glenn Zaleski and vibraphonist Behn Gillece. 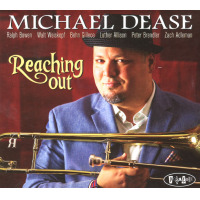 Dease's take on "Till There Was You," another song from the The Music Man, mixes a straightforward, heart-on-his-sleeve rendering of the melody with variationsan extended note here, a playful phrase therethat add another layer of sincerity to his interpretation. Though tight ensemble playing is the record's most winning characteristic, there's no shortage of standout performances. Howell confidently strides through "Confirmation," displaying an impressive command of the bebop lexicon, tying together ideas in fresh ways, and packing a visceral punch in part by putting just the right amount of emphasis on each phrase. Gillece, a Posi-Tone regular as a co-leader, leader and sideman, digs deep for three gripping blues choruses on Grachan Moncur III's "Riff Raff." Zaleski's variegated "Marian The Librarian" improv retains the tune's fanciful flavor while shooting flares of soulful jargon, executing relatively brief sequences of grounded single note lines, and offering the occasional outre chordal burst. 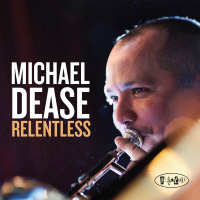 On the title track, Dease weaves a grab bag of sounds into a coherent statement, sounding gruff and grumpy one moment, silky smooth the next, quoting Bud Powell's "Persian Thoroughfare" at the onset of one chorus and Charlie Parker's "Buzzy" on another. Chock full of Dease's good choicesin personnel, material, arrangements, tempos, and length of solos, Father Figure is companionable and stimulating from start to finish. Track Listing: Church Of The Good Hustler; Brooklyn; Cry Of The Wolf; The Pursuit For Inspiration; Confirmation; Riff Raff; Annette's For Sure; Marian The Librarian; Wingspan; Til There Was You; Father Figure. 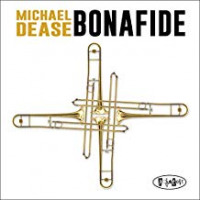 Personnel: Michael Dease: trombone; Behn Gillece: vibraphone; Glenn Zaleski: piano; Endea Owens: bass; Luther Allison: drums; Markus Howell: alto saxophone (1, 4, 5, 6, 7, 9); Immanuel Wilkins: alto saxophone (1, 2, 3, 5).